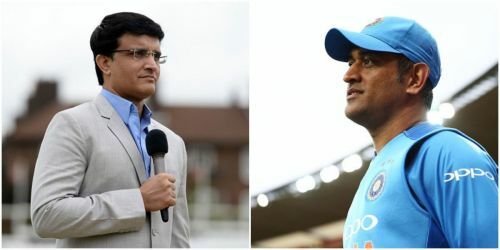 Former India captain Sourav Ganguly has backed veteran wicket-keeper batsman MS Dhoni to continue playing even after the 2019 World Cup. The erstwhile opener has insisted that age cannot be a metric in deciding the future of a talented cricketer. Ganguly quipped, “Dhoni can continue after the World Cup. If India wins the cup and Dhoni performs consistently, then why should he retire. Age is never a factor if talent is there." Dhoni will turn 38 during the course of the 2019 World Cup which will be held in England & Wales. The former skipper, who has played 340 ODIs in his career thus far, is widely expected to bid adieu to the 50-over format following the conclusion of the World Cup. Although the man himself is keeping his cards quite close to his chest, there has been plenty of scrutiny regarding Dhoni's role in the Indian team. However, in 2019, he has answered his critics in style by registering quite a few match-winning knocks. Aside from sharing his views on Dhoni, Ganguly also expressed his thoughts on India's combination for the World Cup. Reiterating Shikhar Dhawan's experience at the top of the order, the 46-year-old warned the think tank against tinkering with India's opening combination despite the southpaw's lean run of form in recent times. Ganguly affirmed, "The opening combination should not be tweaked. Rohit Sharma and Shikhar Dhawan are the ideal pair to give India a fast start. But K L Rahul is also there. Shikhar and Rohit should open. Other than the two, Rahul is another batsman who can open." In all likelihood, tomorrow's ODI against Australia will be Dhoni's last match at his home venue in Ranchi. Having taken a 2-0 lead in the five-match ODI series, India will be relying on the talisman gloveman to help them seal the series at his bastion in JSCA International Stadium Complex.